Germination is the process of the seedling breaking free from the seed coat and putting forth roots and stems. There are many methods of germination depending on the variety of flower seeds you are trying to grow. Certain things are necessary for the germination of all seeds and others are seed specific. Following basic germination procedures along with the directions on the seed packet for your particular flower will ensure the highest germination rate as well as healthy seedlings. Fill seed starting pots or trays with nutrient-rich sterilized potting soil or seed starting compound. Providing the proper nutrients from the plant's beginnings helps produce the healthiest flowers. Plant the seed inside the soil. Most seeds are planted to a soil depth equal to double the seeds' height. Sow extremely small and fine seeds directly on the soil surface. Planting too deep makes it impossible for the seedlings to break the soil surface. Keep the soil moist but not soggy. 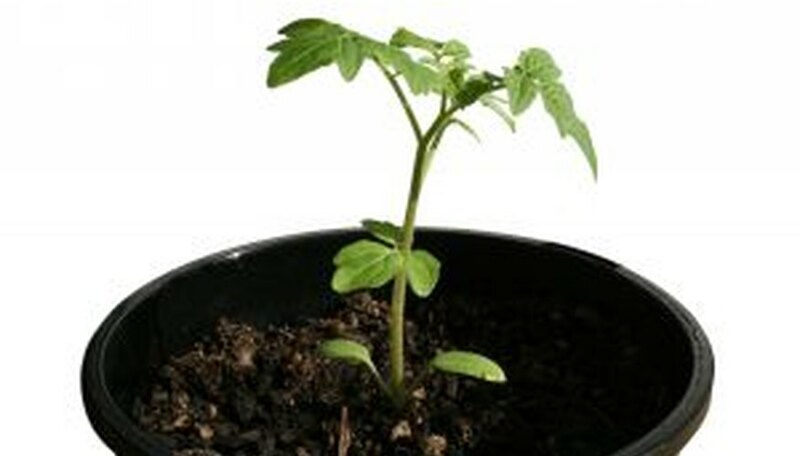 Water the pot from the bottom tray to avoid disturbing the new roots and dislodging the seedling. Give the seed the proper lighting conditions. Most seeds require warm temperatures to germinate and light isn't required until the seedling produces leaves. A few varieties, such as chamomile, require light to grow. Follow the instructions for your flower variety. Place pots on a sunny window sill or under grow lights if necessary. Maintain temperatures of 70 to 85 degrees Fahrenheit to encourage germination. Room temperature usually suffices but heat mats are available at garden centers to help maintain the temperature if needed. Wait for germination. Flower varieties germinate anywhere from a week to a month or more. The estimated germination time is listed on the back of seed envelopes. Soak seeds in water overnight or scratch the surface of thick seeds, such as morning glory, to encourage germination. Avoid using seeds that are more than 2 years old. Most will not germinate.